Hydro Flasks will keep hot drinks hot, keep cold drinks cold, won't leak, are scratch-resistant, double insulated, and basically are the best stainless steel thermoses/sports bottles out there. Alright so I have a confession to make. I spend an embarrassing amount of time ever day fawning over my Hydro Flask. Hydro Flask gets me like no one else does. 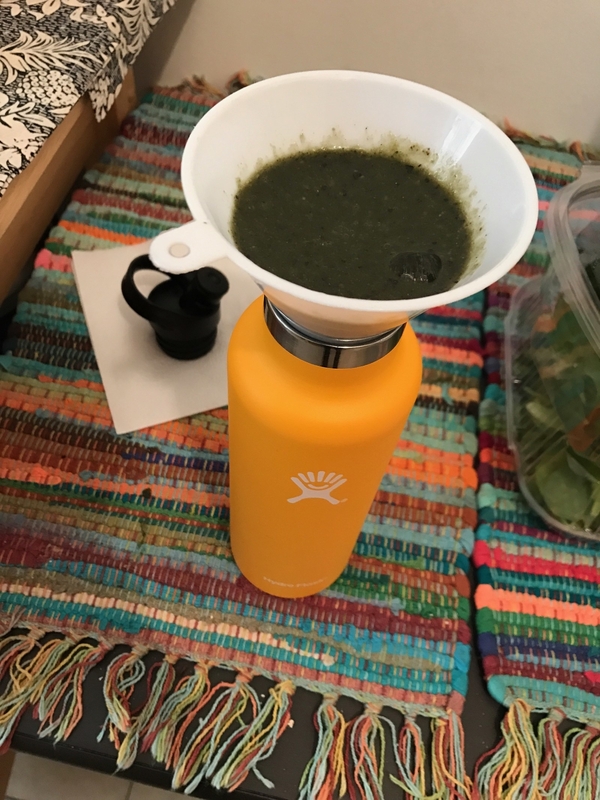 Hydro Flask is there for me when I need water, need to add supplements to my water and shake it up without any spillage, need to drink a very large cold smoothie throughout the day, and so on. Here's a photo of us – me being very pensive, trying to plan our future together, and Hydro Flask holding two cups worth of piping hot tea (the usual). I literally get out of bed in the morning excited to use this water-bottle/insulated angel. It has a convenient carry handle on the lid, comes in standard and wide mouth options, and begs the question: Who. Is. She. I went with the 21 oz standard mouth because it will fit in a bicycle cup holder, and it's still wide enough to add ice to your drinks! Both the sports cap (which I adore and is pictured here) and regular caps come with a carry handle. FYI: It's recommended to hand wash Hydro Flasks to prolong the life of your babe, which I find to be a v speedy process with just hot water and a little soap. 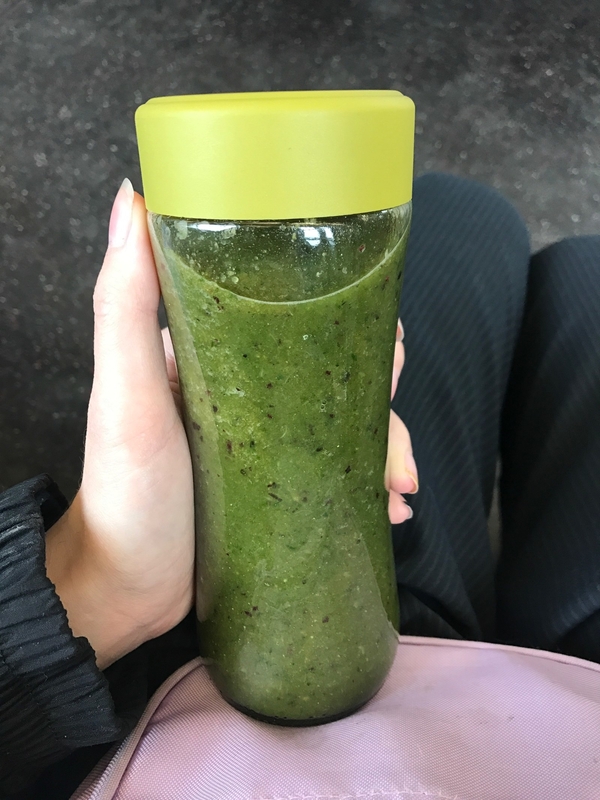 Before the Hydro Flask came into my life, I was using a glass jar for my morning smoothies/water, trying to pretend like everything was fine and I was happy in that relationship. It was cute, but now I can fit much more smoothie in my 21 oz Hydro Flask so I'm no longer hungry before lunch. I told myself that a smaller container would help me drink more water throughout the day, but I was lying. I am lazy, so fewer refills = more hydration with this new babe. I was worried I wouldn't like drinking from stainless steel after drinking from glass for so long, because I am sensitive to any metal/plastic taste in my water. But I've found no such taste with ~the flask~ (it's BPA-free and 100% recyclable). 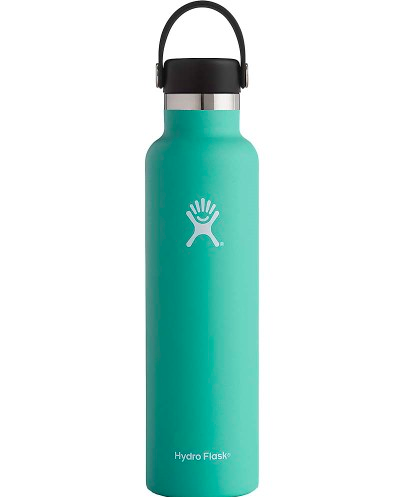 The Hydro Flask is made from food-grade stainless steel with a powder-coated finish, and it has double wall vacuum insulation – so it is perfect for a tea drinking monster like me. This angelic drink container will keep hot drinks hot for 12 hours, and cold drinks cold for 24. That powder coating feels v nice in your hand, which will never get burned from a hot drink inside; and despite my best efforts, I have yet to scratch it! So far the Hydro Flask has never leaked on me at all, even when being carried in my wild wild backpack (truly we are perfect for each other). 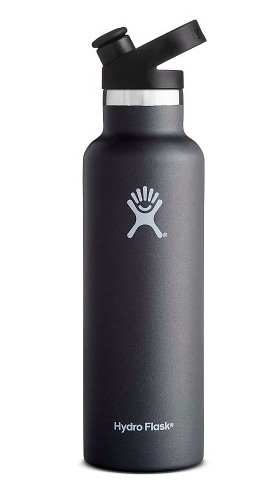 Seriously, if you are tired of your coffee/tea/lattes going cold on you, give the Hydro Flask a whirl. It will still fog up your glasses hours later. I'm smitten. This fog occurred approx. six hours after as a TEST, and it was still just as hot as the second after I made it. I do not have the will power to not drink from this for a full 12 hours (sorry, we're in love), but I do not doubt the powers of Hydro Flask. Time to get your own? I think so. 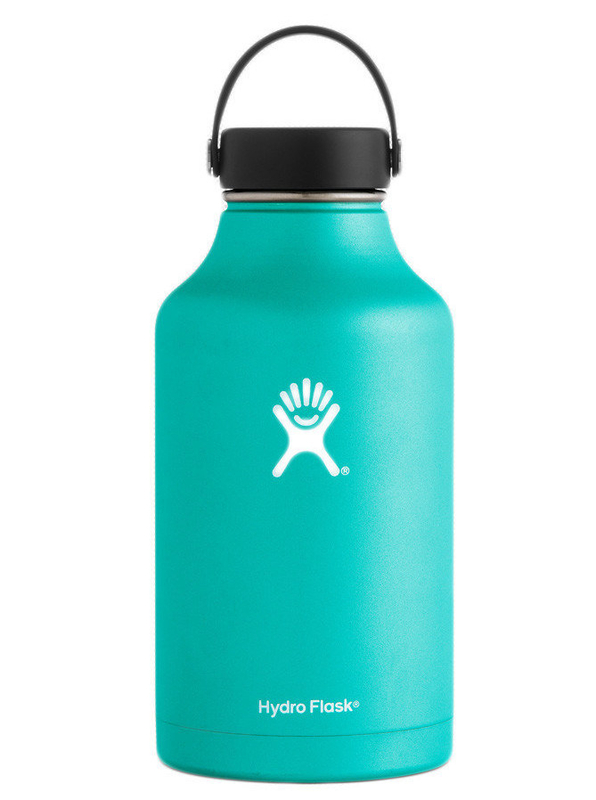 This mint standard mouth Hydro Flask is gorge. There are also tons of wide mouth options. The price point for Hydro Flasks is kinda high, which was the only thing preventing me from true love for so long. Now that I splurged on mine, I tossed the two other water bottles I was using, and I have no regrets. Plus, Hydro Flasks come with a lifetime guarantee! Get them from Jet: the black Hydro Flask 21 oz standard mouth with sport cap for $35.95 and the mint Hydro Flask 24 oz standard mouth for $34.95 (21 oz also available in yellow and blue). Or, get a 24 oz standard mouth in black for $39.95 or an 18 oz standard mouth in cobalt for $29.95. Or, try a Hydro Flask wide mouth for road trips, beach days, or to keep lots of lots hot coffee/hot cocoa on hand on the family camping trip! Get them from Jet: 64 oz mint wide mouth for $59.95, the 40 oz mint wide mouth for $42.95, or the 32 oz olive green wide mouth for $39.95. Pssst. There are also really cute lil' wide mouth Hydro Flasks with flip lids in 12 oz or 20 oz sizes. Now go forth in the world and 🍵stay steamy ☕️. Recommendations here have been edited for length and/or clarity.